Until the end of this weekend, Newegg has tons of latest titles on sale for more than 50% off. This includes goodies such as $25 Assassin's Creed Odyssey, Battlefield V, Black Ops 4, and more. Many of these games are at new historic low - even with the shipping Newegg is charging. New lows on Dishonored 2, COD Infinite Warfare, World of Final Fantasy and more in NewEgg's console / game coupon code discounts. 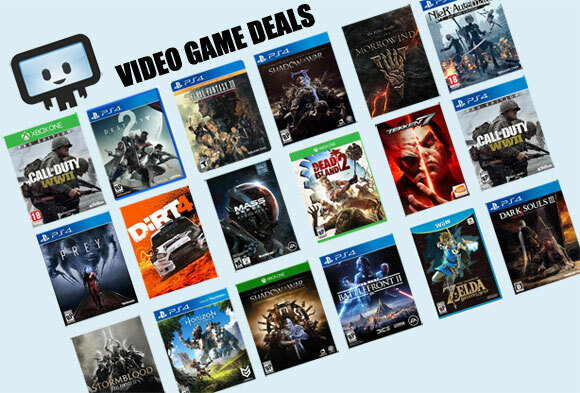 A wave of gaming deals that exist today only. RockStar PC gaming sale over at NewEgg. Instant discounts up to 80% on titles like Max Payne, L.A. Noire and Grand Theft Auto, PLUS there's a 15% off coupon code for additional savings. Newegg's FantasTECH sale (a direct competition to Amazon's Prime Day) is now live. We're sorting through the list so bare with us as we get the top picks out (hopefully before they sell out). Today NewEgg launched a decent sale on Square Enix PC Download games. No new lows, but still decent pricing on Tomb Raider, Hitman, Deus Ex, Sleeping Dogs and more. Deals ends tomorrow. Child of Light for $4 today in NewEgg's brand new Ubisoft title sale. Great chance to pick up the Assassin's Creed series, Far Cry series, Tom Clancy, Watch Dogs & more on the cheap.